Ukrainian Culture Minister Vasiliy Vovkun says the Soviet-era monuments being torn down throughout the country should be taken to Chernobyl, the site of the world’s worst nuclear accident. That’s according to Russia’s Novy Region news agency. 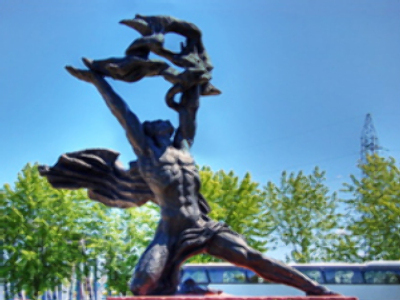 The mass demolition of Soviet statues was ordered by President Yushchenko as part of the commemoration of the great famine of 1932-1933, the Holodomor. Ukraine’s government claims the famine was orchestrated by the Bolsheviks and that it targeted Ukrainian nationals. Critics argue the disaster didn’t distinguish nationalities and that Ukrainian territory was not the only one affected by the famine. Presidential adviser Nikolay Zhulinsky estimates there are more then 20,000 monuments in Ukraine earmarked for removal.